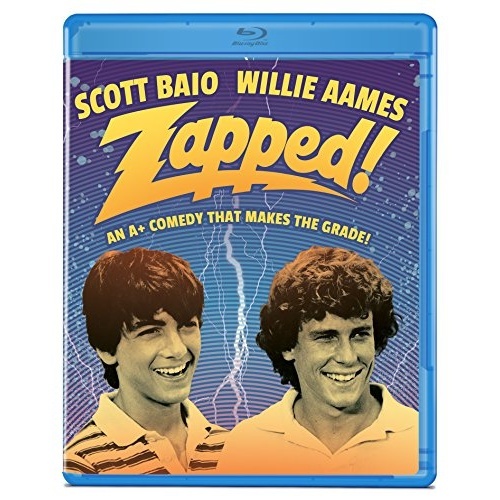 When a lab accident leaves high school student Barney Springboro (Scott Baio, TV's Happy Days and Charles in Charge) with telekinetic powers, it's a comic free-for-all in Zapped! Encouraged by his friend, the hormonally minded Peyton Nichols (Willie Aames, TV's Eight is Enough and Charles in Charge) to put his powers to good use, Barney exacts revenge on school bullies, cheats a little at sports and improves his luck with the girls, culminating in a prom scene reminiscent of Carrie... with laughs. Zapped! co-stars Heather Thomas (TV's The Fall Guy) as Jane, the cold-as-ice high school beauty; Felice Schachter (TV's The Facts of Life) as Bernadette, feminist class president, nerd and the girl of Barney's dreams; and Robert Mandan (TV's Soap) as high school principal Walter J. Coolidge.